This week I dedicate my edit of the chose picture for February’s One Four challenge to the creature that made me take the picture in the first place. 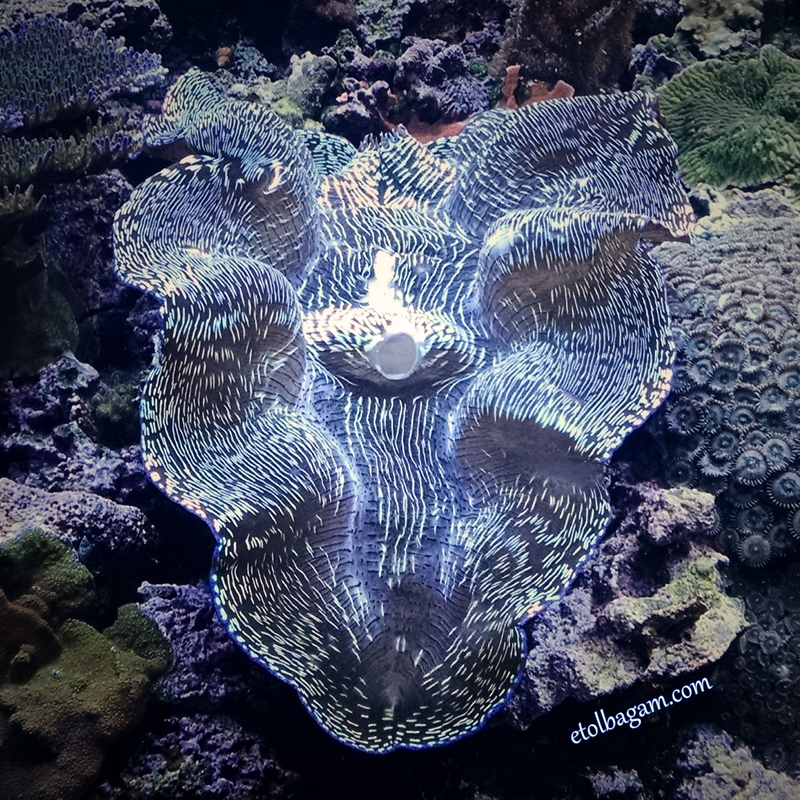 The shiny giant clam. At first I didn’t realize it was a clam (I’m not at all versed in sea creatures) because I didn’t really see the shell. But it was so big, so shiny and so pretty that I decided to go for the picture. Then I posted one of the picture I took in instagram and got a like on it from the aquarium. Visiting their instagram page was how I got to know what the creature was, as they also had a picture of it (with the blue cast! ;o). This month, I must say the challenge was harder than I though it would be. I picked the aquarium picture because of the fact that it was off color, but once I fixed that on week one, it was hard to decide what else to do with it. Highlighting specific items on the original picture was fun, tough, although it made it feel like 4 different pictures, instead of 4 versions of the same one. But maybe that’s the idea of the challenge anyways, right? This post was written in response to the One Four Challenge 2016 – February, hosted by Robyn. Check also my weeks 1, 2 and 3 edits. what a cool photograph to work on. I think I like week 1 and week 3 edits best. Interesting what we focus on in the one image. I had not notice the giant clam before…My favourite is week 1.